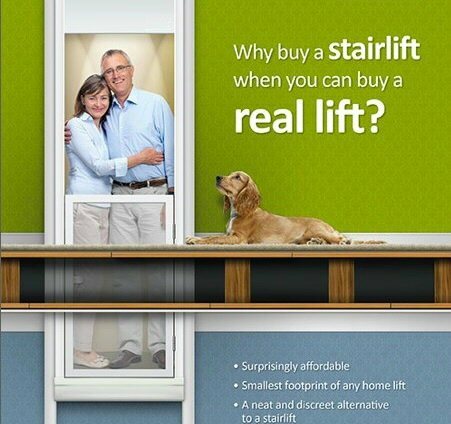 The home lift, which provides access for people between two floors in your house, can also sometimes be called an elevator or a residential lift. Providing easy access so that people can use their whole house, they are especially important for people like the elderly and those with a disability. It helps them to easily move from one floor to another. A home elevator can also be used for transferring heavy things, or a larger quantity of smaller things that might be difficult to carry. There are several types of lifts that can be used. It may depend on your medical or personal needs and the space requirements. They are ideal for houses that do not have enough space for the construction of a ramp. It is also cheaper than a commercial elevator. Getting an elevator built in your house does not require planning permission, but they should still include the safety systems like those elevators used in offices or commercial buildings. There are other several types of lift that can be used. These include the vertical platform lift, inclined platform and stair-chair type. A vertical platform is a device installed with platforms that move up and down vertically. It is also called a through-floor lift sometimes. They are mostly seen in churches, schools and offices, but they are also used within residential settings. Why not call us to find out what would be suitable for you? Our freephone number is 0800 007 5050. Speak to our friendly team today. In using a home elevator, whether a wheelchair lift or through-floor lifts, safety should always be considered. There are several recommended safety features that your design must have. These include an interlock mechanism on doors and gates, a manual system in case of a power outage or a mechanical malfunction, sensors that prevent the device from crushing objects that may be underneath it, a backup system, safety gates at locations where there is a drop-off when it&apos;s platform is at a different level, handrails on platforms, proper lighting and an emergency telephone or other on-device communication system. Through Floor versions are often installed to accommodate a wheelchair user and to facilitate their movement between the floors of their home. Typically requiring some degree of building works the lifts we recommend are all DDA compliant and are guaranteed to be installed by time served craftsmen, who specialise in disabled adaptations. Prices start from under £10,000 and are bespoke to the property they are installed in.